Getting a diagnosis of cancer can be a very scary time. I have had people tell me they feel powerless and out of control as masses of tests are performed and then treatments undergone. While it’s wonderful to have so many advances in medicine that make more and more cancer survivors able to beat the disease and lead full healthy lives, it can be an overwhelming and painful time. 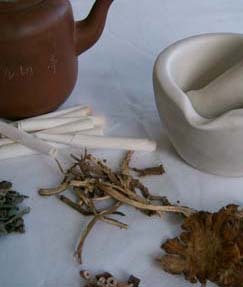 Because of this, it is a wonderful time to introduce acupuncture and herbal medicine into one’s life. Acupuncture has been proven to help alleviate many symptoms of chemotherapy and radiation, including nausea and pain. The National Institute of Health has officially endorsed it for treatment of symptoms relating to cancer and cancer treatment and many insurance companies now cover acupuncture for treatment of those problems. Acupuncture has also been shown to increase white blood cell production in a healthy way so that while a person is undergoing treatments that often devastate the immune system, acupuncture can be helping to support that system, to keep the body in balance and to offer much needed deep relaxation. For thousands of years acupuncture and Chinese herbal medicine have been used to help keep people’s bodies in balance and working at their best – from digestion to immunity, sleep to pain relief. In addition to my 4 years formal training in Traditional Chinese Medicine, and the internship I completed at at a top hospital in Beijing, China in 2000, I have been in practice for 13 years and have completed many courses specifically on cancer care and Chinese medicine. I also worked extensively with cancer survivors at York Hospital in Maine where I started the acupuncture program in 2001. I worked with clients from those just diagnosed, to survivors healthy and many years post treatment, and also to those having palliative care in the final stages of life. I have continued to work with those dealing with cancer throughout my years in practice and now, in addition to work in fertility, am focusing specifically on this offering – acupuncture and diet and lifestyle for cancer patients and survivors. I offer professional, deeply relaxing and rejuvenating treatments offered gently and with compassion. If you or someone you love has been diagnosed with cancer, or is a survivor looking to stay strong, please feel free to email or call me with any questions or to make an appointment.